Good morning Mr. Billings, I hope you had a pleasant night. Now to continue with our 'interview'. If it will help matters we can do a little role playing. I will go get my dentistry tools and ask you if it is "safe". First some quick fire 'about you' questions. 2 daugters, Melany 26, Jenna 23, 1 son, Alex 18 (about to leave for college, at which point all 3 will have gone to the dark side - Southern California - while my wife and I are in the San Francisco Bay Area). Favourite music genre and bands? West front or East front? It depends on the scale and/or battle, but I like them both. I’m too much of an American to not pick Patton. My father took me to the movie Patton when it came out when I was 12. My uncle served in the 1st Division in Sicily and he had a mixed opinion of Patton. My dad was just happy that Patton didn’t go into politics. Hmmm..interesting....Now we have a good idea from the ACME Lie Detector when your telling the truth we shall get on the real questions. Remember ACME Lie detector currently has a money back guarantee, that's how good it is! What started your career with computer gaming in general, and specifically wargames? 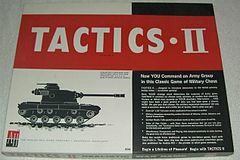 I started playing wargames with Tactics II at the age of 7 in 1965. My father got the game from his brother (both WWII vets), and my father taught it to me. After that Gettysburg, and many other Avalon Hill boardgames followed. I loved it as my father got me interested in military history by the time I was in 2nd grade. I spent the next 14 years playing as many wargames (and some statistical sports games) as I could afford, while I eventually got a degree in Economics from Claremont McKenna College in the Los Angeles area. In 1979 when I graduated from college and saw my first personal computer (a TRS-80 at Radio Shack), I thought the time was right for wargames to be made on computers. I had a small amount of computer experience in college, and had programmed a very simple wargame for a BASIC computer class. I didn’t have the skills to do the programming myself, but I was lucky enough to be spending my summer after graduating working in Silicon Valley. Through the local wargame stores I found two programmers that were also wargamers and interested in working with me. At that point, I founded Strategic Simulations, Inc (SSI). Had I not been in Silicon Valley, I don’t think any of this would have been possible. For that I have to thank my favorite college professor who had gotten me an internship at Amdahl that led to the summer job, and my uncle for letting me live in his house in Palo Alto that summer and for giving me encouragement to put off business school and start SSI instead. What have been the major hurdles you’ve come across during your game development career? Early at SSI since most of our games were in BASIC, we struggled with making the games run fast enough. Later on, the issues became that the games grew to be so complicated and time-intensive that testing them in a reasonable time-frame became very difficult. My major struggles weren’t so much in development of wargames though, as they were managing SSI as it grew and produced non-wargames. I enjoyed all kinds of strategy games, including statistical sports games, although wargames were my real passion. Many of the development people at SSI were big role-players (not me), so that allowed us to branch out into role-playing games generally and the SSI D&D license was the culmination of that effort. By 1990, wargames were no more than 25% of SSIs sales, so a lot of my time was spent on the business and not as much of my time went into game development. Two years after selling SSI to Mindscape in 1994, I decided to end my short lived executive career at Mindscape and go back to being a wargame developer at SSI. In 2000 the opportunity came up to partner with Gary Grigsby and Keith Brors and create 2by3 Games with the idea to focus entirely on developing Gary’s wargames. I had been developing Gary’s games since 1982 and his were always my favorite wargame designs, so it was a natural partnership. The challenge we’ve faced at 2by3 is how to continue making these ever increasingly complex games given their limited market. It wouldn’t happen without the group of volunteers that came from our fan community and have done all kinds of work needed to produce these projects (database, scenario, testing, programming and more). Which game are you most proud off that you’ve been involved in? That’s hard to say. Over the years, starting with War in Russia in the early 80s and ending with War in the East in 2010, Gary’s eastern front series of games have been very special to me. I was a huge fan of SPI’s War in the East monster board wargame when it first came out in the early 70s). Another game I am very proud of is the original Panzer General. As arguably the best selling personal computer hexagon based wargame of all time, it was a very special project created by an all-star group of employees at SSI in 1994. I think the many games in the Panzer General series, and the PG inspired Panzer Corps series put out more recently by Matrix, have introduced a lot of people to PC wargaming. I’m proud of War in the Pacific, given just how difficult it was to develop. Once released, I never wanted to see it again, but I was very proud of its release and subsequent improvement by the community with the release of WitPAE. So War in the Pacific was the hardest to see to completion? Why was that? Every ship, every plane, pilot, squad fighting in the entire Pacific. A game that played in daily turns executing ever airstrike for 4 years. It was massive. The only way it could be tested quickly was using the AI to play the AI, and even that took days. Having human players test it was very difficult. We had done massive games before, but this was the biggest by far. What have been your low points and what have been the high points? Getting to develop 10-15 games a year in the 80s was a lot of fun, although it was also hard work. Getting SSIs first game completed in 6 months, and then getting SSI to turn profitable within a year were big early high points. Later on, getting the Dungeons & Dragons license in 1987 and releasing many successful D&D products over the next few years were high points. Not being able to take advantage of those D&D products on the early consoles, and problems with completing the 2nd generation D&D engine, and the layoff that came because of it were low points. The sale of SSI was both a high and a low, and the early success of SSI within Mindscape, thanks in part to Panzer General and Steel Panthers was another high. Forming 2by3 Games in 2000 and getting to work with Gary on a day to day basis again as I did in the 80s was another high point, as were the release of WitP (more of a relief) and War in the East. What advice would you give to someone who was contemplating designing\developing wargames? Play a lot of games. Get involved with beta testing wargames. You may find you can talk to various game designers/developers and help out with various tasks aside from just testing. There is a difference between a programmer/designer and someone like me that hasn’t programmed since 1982. It’s hard for non-programmers to get to be designers, but it’s more possible for them to be a developer. However, I found that my basic knowledge of BASIC back when most of our games were programed in basic did help me deal with programmers, so I’d encourage developers to get some experience if they can with programming, if only at a very basic level. How do you feel about the change from brick and mortar commerce to the new internet download version? I’m very happy to see it go this way. It works for wargames, especially when we have a great distribution partner in Matrix. Most wargames are niche products and had an increasingly difficult time finding shelf space. Unsold gamers were returned, forcing prices down as inventory stacked up. Removing the middle man (retailer and often a distributor) means more for the designer and publisher. For downloaded products, the cost of the download is less than the cost of the box and docs, so that’s another advantage. Do developers and programmers get a larger percentage of profits with the new model and the absence of overhead? Yes, generally royalty percentages are higher than they were back in the 80s and 90s, and the percentage of the retail price actually received by the publisher is higher than it was in the brick and mortar days. That’s not to say you get rich making serious wargames, but the amount received per game sold is higher than it used to be. Can you give us a brief run down on how SSI came into being and what are your feelings when you look back to that time? I got the idea of making computer wargames in 1979 while working at a summer job in Silicon Valley between graduating from college and going to business school. When I was able to find two programmers also interested in making computer wargames, we started SSI. I did not plan on becoming a publisher, but once Avalon Hill said they weren’t interested in what we were doing, I had to figure out how to publish and distribute our first wargame when we finished it 6 months later. It was a great time, when personal computers were just getting into stores, and computer users were hungry for software. For me, it was great fun because once we started publishing our games, people started submitting games for publication. I got to work on a new game every month, and I got to work with some great designer/programmers. When I look back, I wonder just how everything came together, and how much we were able to do without any experience. Of course, when you’re young, you’ve got time and energy. It helped to have my sister running the production part of the company, and having my uncle available to provide business advice. In many ways it was a family business. At the same time, the people that joined our R&D department were all wargamers, so we had that in common. As the company grew, there was always a game going on of some kind, at lunch, or afterwork. Board games, miniature games, role-playing, you name it. When I met my wife in 1986, she described the company as a treehouse for gamers. Was it a terrible blow to let go of SSI, or was it a relief at the time? It was a bit of both. I knew that selling SSI to a bigger company would inevitably change the company forever. If it wasn’t for the increasing cost of development and the risks associated with that for a small company, I would have been happy to stay independent. However, with the gaming consoles coming in, the rising cost of development, and the increasingly hit driven business, the risks were too great. Once we decided it was time to become part of a bigger company, it then became a matter of finding a company that valued us. It took over a year, and two possible deals going south (EA and Spectrum Holobyte), before Mindscape came along. Since they had recently been bought by a big British conglomerate, it seemed as if there was a good chance for us to do well there. In fact we did very well for the first two years within Mindscape (partially because we were no longer shackled by the EA affiliated label distribution deal that was costing us a lot and partially due to some timely hit products). Unfortunately, Mindscape had its own problems, and I found I really didn’t enjoy the corporate management game and preferred working directly on the games. You must understand that this mode of questioning is a means to an end. This isn't just an outlet for my salacious appetites. Some people believe that the heyday for computer wargames was years ago. My feeling is that we are in the golden age right now. What are your thoughts on the matter? Thanks to Matrix and internet distribution, I’d agree that times are pretty good for computer wargames. Unlike boardgames, computer games are constantly changing due to changing technological capabilities. So it’s hard to compare a game from the 80s to one of today. There seem to be plenty of good games for people to spend time on. Wargaming (both board and computer) is a hobby where the players are, to put it gently, aging. Do you see it this way, or do you feel there is actually new blood filling the hobby's veins? Yes, I think a lot of our customers are aging baby boomers that started with hex based board wargames in their youth, and then got computers after college and moved their gaming to computers. Back in 1980 I found the average age of our customers was 23, and I was 22 at the time. Over the years, the average age of our customers kept going up. There was a wave of new gamers that came in during the 90s via games like Panzer General and Steel Panthers. Those games sold 5 to 10 times what any other wargame had sold. They were easy enough and good looking enough to attract some new gamers. Some of these people went on to play more complex wargames. Of course wargamers are outnumbered by other computer gamers, but some percentage of computer games manage to find computer wargames and get interested. I don’t have any hard data on our customers these days, but I’d bet for games like Gary Grigsby’s War in the East, the average age is probably near 50. I’d bet that the average age of Panzer Corps players is much lower. Hopefully games like Panzer Corps will continue to create new wargamers, although I do wonder how different wargames will be 10-20 years from now when the old guard that played wargames before computers came along are mostly gone. What do you feel needs to be done to bring younger wargamers into the fold? More games like Panzer General and Steel Panthers. Good looking, intuitive, easy to play games that are more accessible to non-wargamers. Is it fair to compare an author and a programmer? Both are in some way creating something new. A programmer/designer is like an author in a way, as game design is a creative process. Of course understanding high level programming is a barrier to entry for many would-be designers. At SSI back in the 80s we used to say that designs were a dime a dozen. The key was finding a designer that had the ability to program his design. Keith Brors was a great help in those days creating tools that Gary and other others used to make many of our early wargames. Without those tools, it would have been much harder for some of the designers to program their games. But fundamentally, it took a designer that could program to make a game happen. Does a programmer suffer things like 'programmers block' etc? I’m not really one to answer that as my only experience at programming was programming Pursuit of the Graf Spee back in 1981. I know that Gary often hits problems that require him to take a long walk on the beach to work out in his head. After taking that time, his mind manages to come up with solutions to the problem he’s trying to deal with. Please hold still and stop squirming, and let the sodium pentothal do its work. You were involved with some wargame releases whose longevity boggles the mind. Some in our hobby keep an extra old DOS computer just to play some of your games. The original SSI wargames are spoken about in hushed tones like the boardgame giant SPI, in our hobby. There are four games from twenty plus years ago that everyone seems to want to have an updated version of. They are 'Age of Rifles', 'Battles of Napoleon', 'Great Naval Battles' and 'Steel Panthers'; you were involved with all of them in some way or another. Are you surprised at this fact, or when you saw the completed editions, did you know they were winners? Games that have the flexibility to cover many different battles of a period are always more interesting (and popular) than those covering just one battle. AoR, BoN and SP, all fit that category. Of course SP was much more commercially successful than the others, but we knew all three were fundamentally good products that covered their subjects well and allowed players to simulate a wide variety of battles. It’s no surprise that people would like to see these games return in an updated form (I’d like to see them as well). GNB was special because it was a much better looking game than other wargames of its time and had a real time element. All 4 of these gamers were made by experienced designers that had a lot of experience making computer wargames and knew a lot about the subjects they were working on. If you stop fighting, I will loosen the ropes a bit. This is hurting me as much as it is hurting you, you know. So, now to the elephant in the room. We have had '2 by 3 Games' ' Gary Grigsby's War in the East', now ' Gary Grigsby's War in the West', and ' Gary Grigsby's War in the Pacific: Admirals Edition'. There have been some mutterings on Matrix's forum about the schedule of upcoming games. If memory serves me, 'Gary Grigsby's War in the East II' and a compilation that will be 'Gary Grigsby's War in Europe' have been talked about. In the midst of these postings was a nugget called ' Steel Tigers', so just sit back, and I will get you some water and you can tell us all about '2 by 3 Games' upcoming schedule. Which future release are you most excited about working on, if any? At the moment, we’re working on both War in the East 2 and Steel Tigers, and I’m equally excited by both. War in the East 2 is a continuation of the progress we’ve made with the WitE and WitW system, using the map we created of all of Europe that was used in WitW. Exactly how far we will take this system is unknown. We’d like to be able to ultimately reach a point where we can have games with Soviet, Axis and Allied units all fighting in Europe. Getting a game that allows this starting in 1943 would be easier than starting in 1941, and much easier than starting in 1940 or 1939. At the moment we’re relying on Gary for the AI programming while Pavel is doing 90% of the rest of the programming. I really like the changes we’ve made so far, and think this game will go a long way to providing an even more accurate simulation of the Eastern Front. As for Steel Tigers, we’re working closely with Matrix’s internal development team. It’s really a joint effort as the goal is to be every bit as state of the art with ST as SP was when it was released. Steel Tigers is the one I’m really excited about. Will old Steel Panther players recognise it as a new Steel Panthers game, or will it look very different? Steel Tigers will be a top down hex game with the same scale as the original Steel Panthers. However, the look and feel and interface will be up to today’s standards and should be very impressive. The original Steel Panthers looked as good as most AAA products circa 1995. We’d like Steel Tigers to be just as impressive relative to today’s games. It’s not 3D, but it uses 3D models to provide a great graphical look. The ability to play individual scenarios, linked campaigns and semi-random campaigns will be familiar to those that played SP. Of course Gary has added some new elements (like the ability to split infantry units), but fundamentally we want this to play as smoothly as SP did, but with the benefit of 20 years of improvements in graphics and interface. Will you be aiming for historical accuracy and realism with detailed ballistic model and armour modelling, if not how will these things be modelled? With Gary involved, we’re always aiming for historical accuracy and realism. When you realize that the combat in War in the East is being resolved in a shot by shot method that began with Steel Panthers (or even before), you know that Gary has a lot of experience making combat systems. His primary responsibility with ST is the under the hood code, so I have complete confidence that the game will be realistic. No one expects these days for Steel Tigers to be released with all the Nations etc Steel Panthers was released with. Can you tell us what Nations will be in the first release? I’m glad you asked. The effort it takes to create artwork for all the weapons is much greater these days than it used to be in 1995. 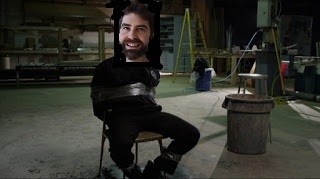 For that reason alone, we realized early on that we needed to break SP into pieces. The first product will focus on the Eastern Front. We will have the Soviet Union, Germany, and most if not all of the Axis Allies that fought on the Eastern Front. If I recall correctly, we’re also including Poland. We fully expect to release expansions covering Western Europe and the Pacific, but for now, we’re focused on the Eastern Front. Last question on Steel Tigers. What years will it cover? It will cover battles from 1939-1945. I'm looking on your site and this is a gem. Thanks.